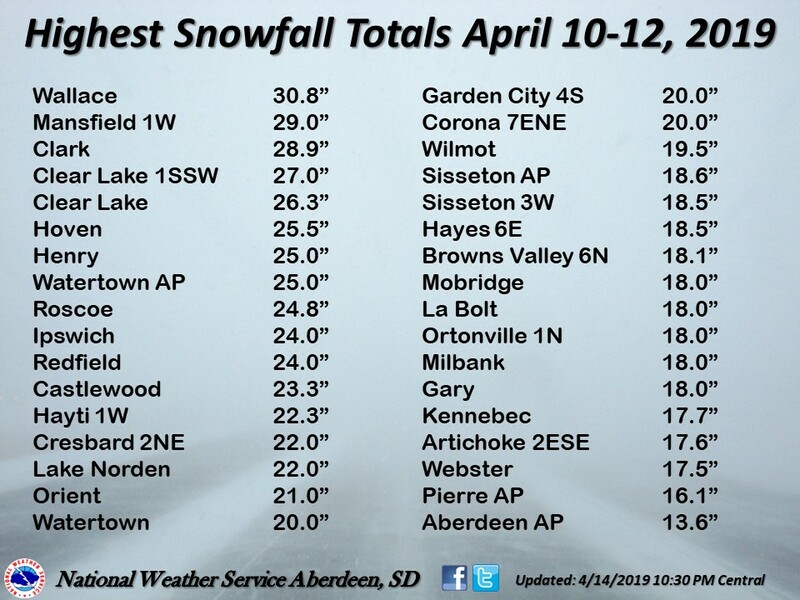 In today’s Weather Graphics Spotlight, we’re highlighting our winter weather graphics during the powerful April storm that dumped feet of snow in the Northern Plains and the Midwest; the highest amount reported out of Wallace, SD: a whopping 30.8”. The timing was perfect with a low pressure system ejecting out of Colorado and meeting with a cold plunge of air from Canada. 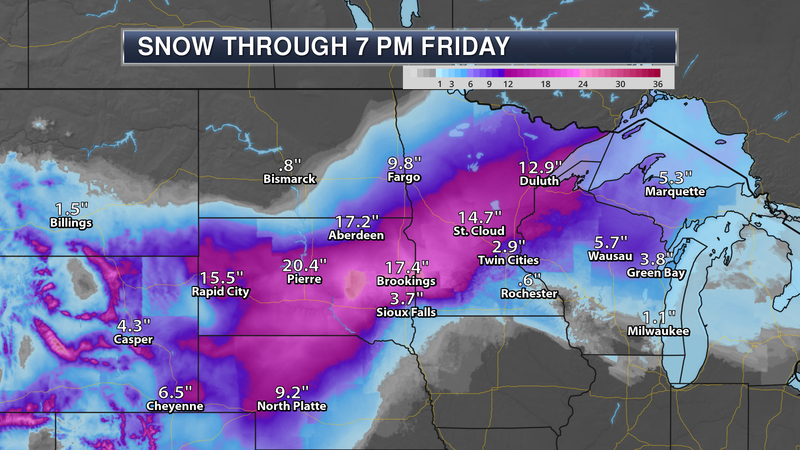 Rich moisture and cold air came together to create a record-setting snow event. The storm’s snowfall exceeded twelve inches for many locations and some even saw over two feet! 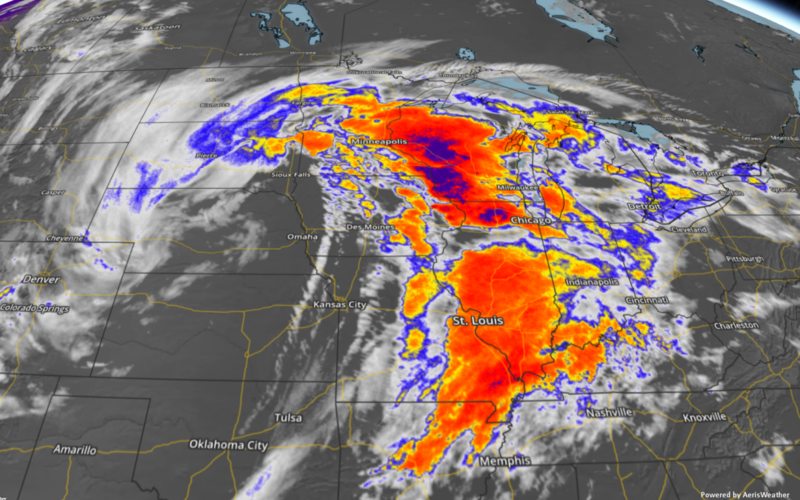 Many roads were completely impassable and even shut down Interstate 90 from Rapid City to Sioux Falls in South Dakota. A full summary of the event can be found here. 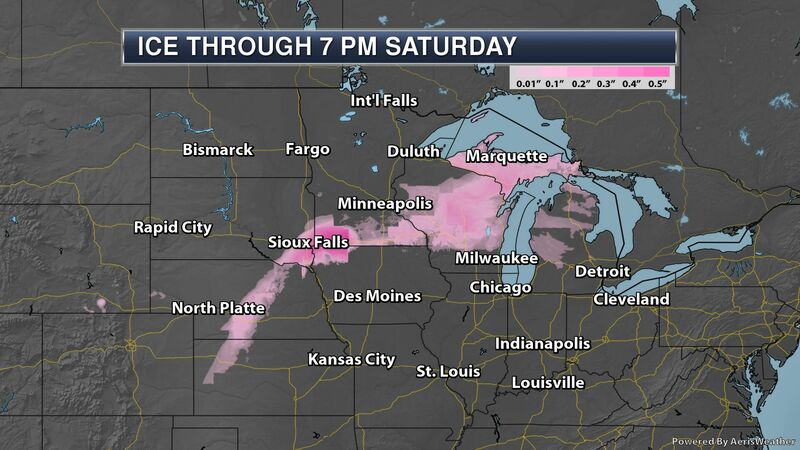 At Praedictix, we generate thousands of weather graphics a day for our clients and our own internal use. 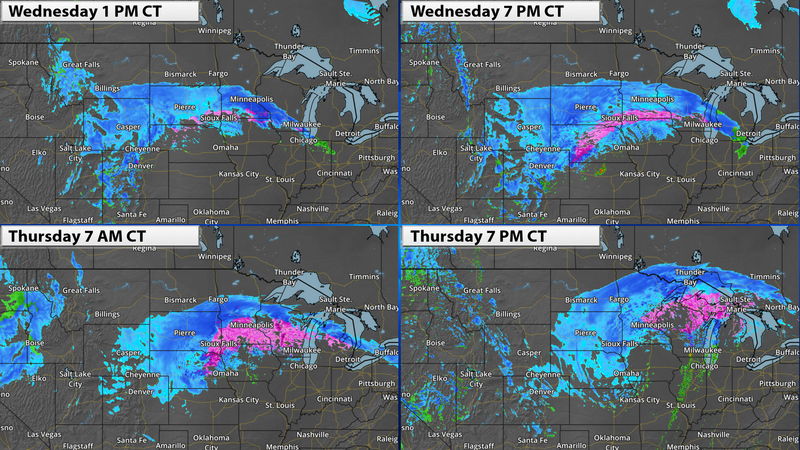 A storm like this really shows the multitude of layers that are available with our system. Both static and looping weather maps are available as well as panel graphics.The best part is that every graphic can be uniquely customized to fit our clients’ needs and are delivered automatically via FTP, though other delivery options are available. Furthermore, we allow our clients to push their brand by use of watermarks and logo overlays. We’re not limited to winter weather graphics! A menu of our current graphics offerings can be found here. Just ask if you don’t see what you’re looking for. 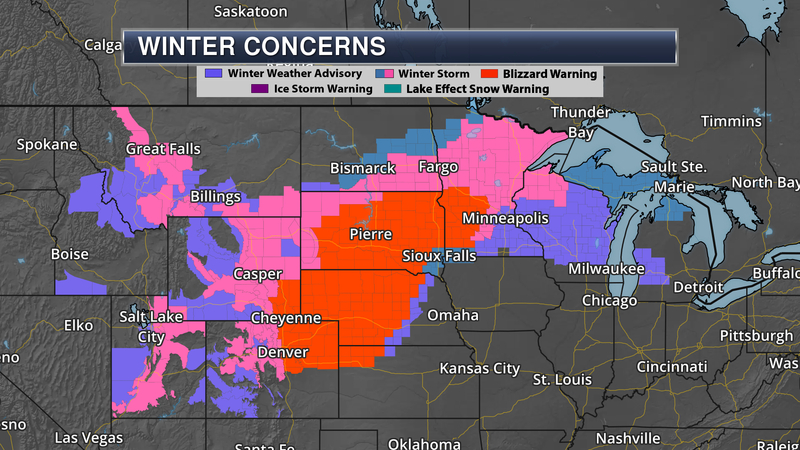 Winter Weather Alerts on April 10th, 2019. 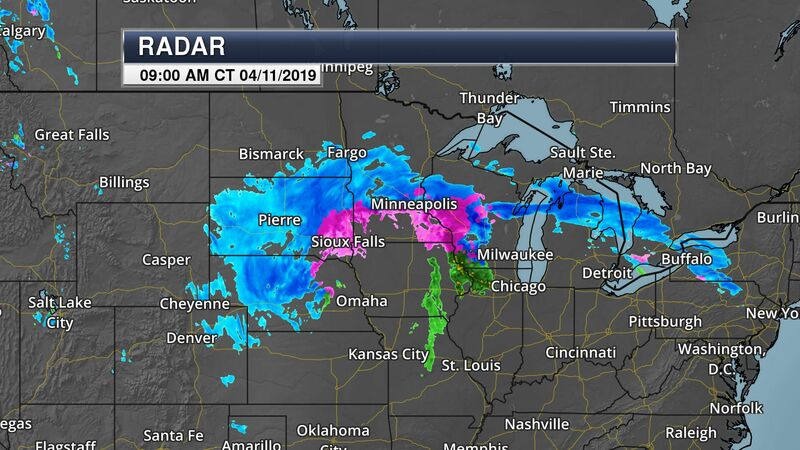 Radar of April 2019 blizzard. Current temperatures on April 11th, 2019. 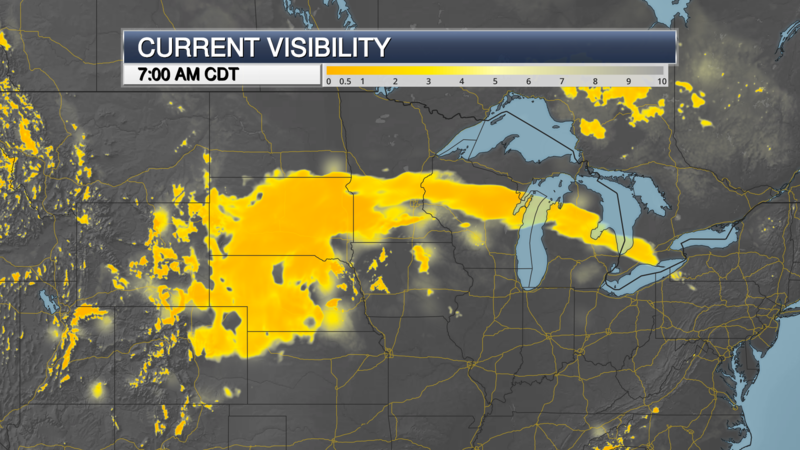 Visibility map on April 11th, 2019. 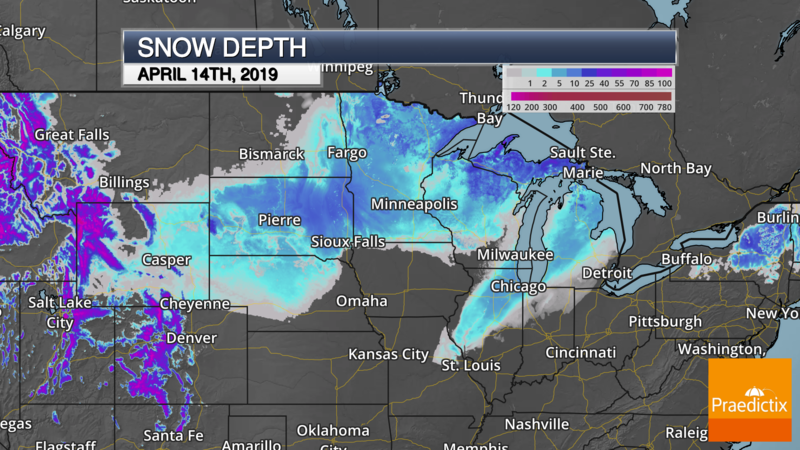 Snow depth on April 14th, 2019. 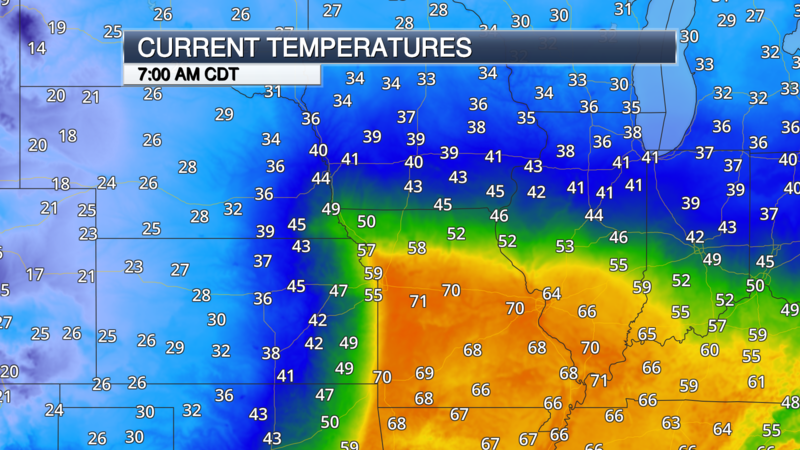 Interested in learning more about custom weather graphics? We would love to explain how it works and chat about your needs. Be sure to contact us!